Gate hinges are left outside, supporting the weight of your gate, and are subject to all the harsh outdoor elements: caustic acid rain, snow, ice, sleet, freezing rain, corrosive salt, and harmful UV sun rays. Gate hinges made of inferior materials will rust prematurely, become inoperable, and may even fail to support the gate. Extreme cold and hot temperatures can take a toll on hardware causing materials to expand and contract, fasteners to come loose, and hinges to fail. Unlike the fence which is likely attached to posts cemented in the ground, gates hang suspended and must withstand constant use and abuse of swinging open and slamming shut. Even careful gate users think little about opening and closing a gate, nor should they have to! A beautiful gate is useless if it's a struggle to get in and out. The fence and gate you may have installed to safeguard your pool, pet, or child is rendered useless with a faulty set of hinges. The gate and gate hardware will likely be the only part of your fence you touch and your visitors touch. Most will pay less attention to the fence than they do your gate or gate hardware. Ask any seasoned fencer their #1 reason for callbacks and expensive service calls and it is likely gate, or gate hardware failure! One costly service call can cost more than installing a good set of hardware on the gate to begin with. If you're looking to save costs, gate hardware is NOT the place to do it! Most ornamental aluminum fence gates come equipped with this style of hinge; they are inexpensive, low-profile to not detract from the fence and gate, often adjustable, and extremely easy to install with self-tap screws and a cordless drill. A gate can be hung in approximately 5-10 minutes using these and the cost of hinges are approximately $20-30. Hinges stand approximately 4" tall and have various size leg arrangements to 'wrap-around' both hinge post and gate upright. See individual product pages for exact height and width of hinges and other specifications. Hinges are pre-drilled for mounting screws. Some hinge models include mounting screws/ bolts, some do not - read product pages for details. These hinges are ideal for residential and light commercial use with 2", 2-1/2", 3", and 4" square hinge posts. Gate uprights are often 1", 1-1/2", and 2" square. One pair is often supplied for residential aluminum gates up to 6' high x 6' wide, utilizing 5/8"-3/4" pickets - spaced nearly 4" on center, 1"-1-1/2" horizontal rails. These hinges are usually self-closing with an internal spring, but one can usually release the spring mechanism entirely to deactivate the self-closing feature. Be careful not to over tighten springs though. These hinges feature plate aluminum powder-coated in your choice of black, bronze, and white with some stainless components to combat the elements. A marine grade powder coat finish helps to prolong finish. This style of residential aluminum fence gate hinge is typically non-adjustable, meaning the space allowance for hinges is fixed and small (1/8-1/2"). There is little to no adjustment to get the perfect gate fit. NW093 4" self-closing hinge - Unequal legs - small leg hinge features a 1/8" x 2" post side leg and a 1" x 1" gate side leg, with adjustment wrench and caps. Sold individually without screws. NW093A 4" self-closing hinge - Equal legs hinge features a 1" x 1" post side leg and a 1" x 1" gate side leg,with adjustment wrench and caps. Sold in pairs with mounting screws. NW093J 5" self-closing hinge - Unequal legs hinge with plates features a 1/8" x 2" post side leg and a 1" x 1" gate side leg, with adjustment wrench and caps. Sold in pairs with mounting screws. NW095 5-3/4" self-closing hinge - Equal legs hinge features a 1-1/2" x 1-1/2" post side leg and a 1-1/2" x 1-1/2" gate side leg, adjustable with screwdriver - no caps necessary. Sold in pairs with mounting screws. NW171SCP5 - Adjustable self-closing stainless steel gate hinge. Heavy duty with superior adjustment, but not as low-profile in appearance. Typically aluminum fence makers classify their fence into three categories: residential (5/8" pickets), commercial (3/4" pickets), and industrial (1" pickets). 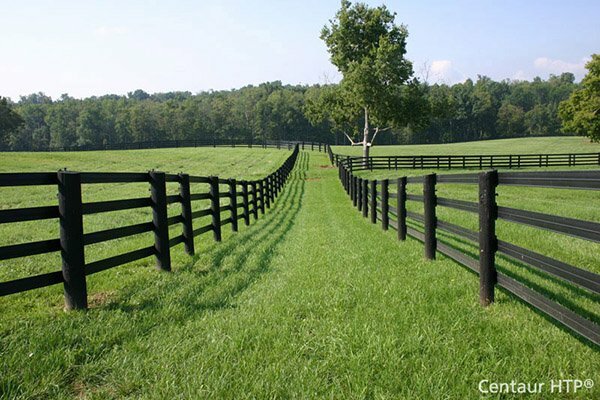 Fence horizontal rails and posts increase in size and wall thickness too. Rails often increase from 1" x 1" to 1-5/8" x 1-5/8". Posts change from 2" square to 2-1/2" square with larger gates requiring 3", 4", and even 6" square posts. Gate uprights (where one usually mounts their hinges) remain at 2" square. Measure your gate uprights and gate posts to be sure you're getting the correct hinge for your gate and gate post. Aluminum plate-style hinges are favorites amongst fence contractors, installers, and homeowners as they install easily and quickly, usually just with a cordless drill. Our commercial and industrial aluminum hinges are typically used for the commercial and industrial lines of fencing. They are versatile and will allow mounting a larger ornamental gate to a 2-1/2", 3", 4", and 6" square aluminum or steel post. Gate uprights typically must be 2" square for the hinge collar to fit properly. These gates can be as short as 3' tall and as tall as 8' tall and up to 10', or even 20' wide. Due to these gates typically being larger and heavier, hinges are usually not self-closing. Many of these type gates, single or double drive, are automated and a self-closing hinge would not be conducive to this environment. NW216 - This heavy duty hinge has been a standard for nearly 20 years for many of the leading manufacturer's of aluminum gates. Larger mounting plates and solid design make it a proven good choice. It's designed for a post mount, however one mounting leg of hinge may be sheared/ cut, allowing it to mount to a masonry column or wall. Hoover Fence has used these for over 20 years on automated gates without an issue. Allows for 90 degrees and greater one-way opening. This hinge is also very low-profile, difficult to notice hinge meaning it will not detract from beautiful estate gates. Hinges allow for tight fit, perhaps 1/4-3/8" space between gate upright and post. NW6218 - Our wall mount hinge may also be used on a typical aluminum post, or nearly any flat surface. A hole will need drilled for traditional hinge pin to recess into mounting surface. Hinge plate may be installed on post side facing other gate post, or it could be mounted on the face, or rear of gate post. Traditional hinge pin/ pintle allows gate to open in both directions, 180 degrees plus of swing! Strong, curved gate upright coupler installs to three sides of the gate upright for a secure fit. Last, the adjustability of this hinge makes it extremely popular with gate installers and fence contractors. Threaded hinge bolt can be adjusted in and out to allow for perfect gaps on latch side for walk gates and driveway gates. Allows for a larger space between gate upright and hinge post. NW6242 - This Block & Plate style adjustable hinge typically mounts on face of hinge post and allows for 180 degrees of opening. The gate could open against the adjacent fence in some applications. Mounting on rear of post, or face is also possible with some advanced planning. Clean design installs quickly with self-tap screw makes it a favorite with our do-it-yourself fence installers. Horizontal adjustment of hinge allowance is easy even with the gate hung simply by loosening and tightening visible nuts on hinge pin. Top and bottom hinge adjust independently, allowing for clean parallel lines between gate uprights and hinge posts, or to remedy slightly sagging gates. Secure three-sided gate coupler attaches to standard 2" square gate profiles. Barrel hinges are favorites amongst our professional fabricators. These are often chosen before a gate is even built, welded to gate uprights, and painted with the gate frame. Barrel and block hinges are usually extremely strong and durable - used on some of the heaviest gates in the industry. Several simple, time-tested and proven designs exist in our hardware catalog. All usually feature a low-profile barrel-shaped metal with a male pin which inserts into a cavity of other half to rest on a ball bearing. Unlike above piano-style hinges, ball bearing hinges usually feature a zerk, or grease fitting for lubrication. Minimalistic by nature, these tight-fitting hinges are nearly fail-proof. These are an excellent choice for heavy steel and wrought iron frames. Did we mention, they are also inexpensive? Steel Barrel Hinges - A simple, proven performer. Also similarly available as aluminum block hinges. A pintle hinge is defined simply as a hinge with a pin, or bolt on which another part pivots. Technically, above barrel hinges are also pintle hinges, however we also feature an impressive array of bolt-on pintle-style hinges. These typically have male and female parts, simply wrap around hinge posts and gate uprights and secure with bolts and nuts. "Keep it Simple, Stupid" applies here. These can last generations with as little as minor adjustment here and there. Installing gates, adjustments such as raising and lowering gates can be accomplished with simply hand tools like ratchets, sockets, and wrenches. What makes are line of pintle hinges unique are the quality of construction, precision manufacturing, and finish. Our hinges are made of prime materials which means they will not crack and fail as easily. Our metals are thicker which means they will not bend as easy or snap. Our welded products feature deep professional penetration which do not break. Lastly, our finishes over superior raw, well cleaned and prepped materials, means your hinges will not rust as soon. 3/4" Hinge Pins & Eyes - Classic through bolt design in several sizes. 3/4" in size, these are extremely heavy duty and of unmatched quality. Adjustable. Shut It! Badass Hinges Steel - These hinges are mostly CNC machined to the tightest tolerances in the industry. We have a group of contractors forming a cult-like following of these and buy them by the case! Welcome to the world of plastics, space-age polymers, and maintenance free, headache free gate installations! If we can build a space shuttle out of this material, I guess we can build some gate hardware out of it! Polymer hinges have become increasingly popular for the last two decades and proven themselves to be a viable alternative to metal hinges which will, eventually, some day rust. Polymer hinges have become a standard for most of the higher end vinyl fences and a welcomed addition to hardware choices designed for ornamental aluminum and steel fences. Sophisticated and sleek are the name of the game here and installations and adjustments are every bit as easy and reliable as metal hinges. These install simply with a cordless drill and can often be adjusted with wrenches and screwdrivers. An advantage of some polymer models is adjustability. When, not if, the ground, gate posts, and gate shifts, adjustments up-down, right-left are made easy with these hinges. New installations are even made easier as some 'room-for-error' has even been accounted for with the adjustability of these hinges. Many other types of hinges require gate posts to be set with 'dead-on' gate post width opening sizes. Tru-Close Series 3 - Massive array of self-closing regular range and heavy duty range hinges. Also featuring a line of colored trim covers guaranteed to dress up a plain gate. Tru-Close Mini-Multi - Fits metal gates, wood gates, and vinyl gates. This is an excellent hinge for our contractors to stock as it will fit many styles of fence. Adjustable up to 2" gaps! A discussion on choosing the proper gate hinges isn't complete without discussing a gate closer, that is, assuming you want a self-closing gate. Many of the above models of gate hinges feature a self-closing feature. Most smaller gates, residential gates, and even commercial and industrial gates may be installed simply with self-closing hinges. Tension is usually adjustable to account for the weight and size of gate, and required closing force to trip latch into a latched position. There are, however, a growing number of applications which require a separate gate closer be installed. These include retrofitting older gates to now be self-closing and new installations requiring more sophisticated and reliable gate closers. Fortunately, we have compiled a collection of the world's best gate closers on the market today. Most are 'arm-like' devices which attach to the gate hinge post and gate upright, and like many commercial door closers you may have seen, have internal mechanics responsible for not only closing a gate reliably, but also softly and safely. SureClose ReadyFit and SureClose Internal Mount Closer & Hinge - Check these out first and consider changing hinges to a hinge and closer in one! These hinges/ closers are a beautiful piece of fence art! These are one of the most innovative and best made items we've ever laid our eyes on! KANT-SLAM - Max. Gate Weight of 125 lbs. Simple, inexpensive add-on hydraulic gate closer. A few bolts and screws and you've added this device to an otherwise non-self-closing gate. Adjustable with a long, successful track history, there are few in our industry not familiar with this device. It's not the prettiest of devices, but if you're on a tight budget and want something fast, this device will do the trick. TB-175 Lockey Garden Gate Closer - Max. Weight 125 lbs. Similar to above, but maybe a tad bit better looking. TB200/400/600 & TB250+/450+/650+ Lockey Pedestrian Gate Closers - Max. 250 lbs. Hydraulic/ Nitrogen controlled closing speed and available in several colors and finishes. Adjustable. Locinox Samson 2 - Max 330 lbs. Robust design and excellent quality gate closer. Adjustable with anti-theft deterrents. Locinox Verticlose - Max 180 lbs. Versatile mechanical/ hydraulic design. Pushes or pulls gate closed. Adjustable. Still unsure of what to order? We provide pre-sale, after-sale, and free installation and troubleshooting advice to our customers. We have installed, been involved with troubleshooting, repaired, and warrantied most items we offer! If we can't help you, our manufacturers will! We've developed excellent relationships over the past nearly four decades with manufacturers and our vendors. If an answer or solution exists, we will find it! We can assist in gate hardware selection based on several characteristics: Height and width of gate, weight of gate, materials of construction, size of gate uprights and horizontals, and desired use. Hoover Fence Company carries only quality gate hardware designed to withstand the harsh outdoor environment and duress of daily use. We carry only quality contractor grade gate hardware manufactured, serviced, and backed by the best fence hardware manufacturers in the world. We believe the best hardware doesn't necessarily have to be the most expensive. Some of our least expensive hardware is some of the most reliable! It depends on your application and what you are trying to accomplish. Our selection of hardware is known industry wide as a standard. Most is used consistently amongst the best fencing brands in the world including vinyl and PVC fencing brands, aluminum and steel fence manufacturers, and others. All photos © www.hooverfence.com. Photos cannot be reproduced without written permission by Hoover Fence Company.